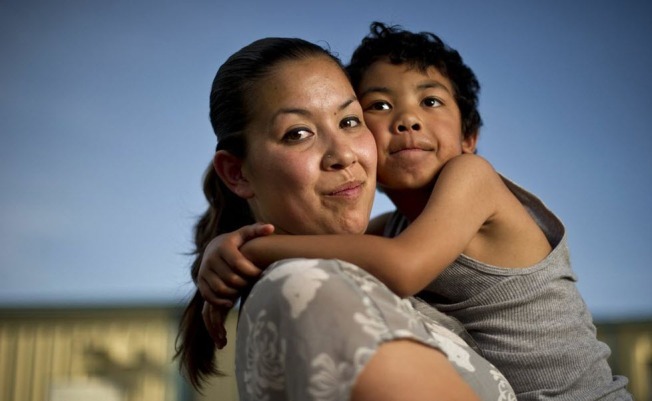 Crystal Nguyen, with her 6-year-old son, Neiko, in Pittsburg, Calif., is a former Valley State Prison for Women inmate. She worked in the prison's infirmary in 2007 and says she often overheard medical staff asking inmates who had served multiple prison terms to agree to be sterilized. The receiver has overseen medical care in all 33 of the state’s prisons since 2006, when U.S. District Judge Thelton Henderson ruled that the system’s health care violated the constitutional ban on cruel and unusual punishment. The 16-year-old restriction on tubal ligations seemed to be news to them, Barnett recalled. And, she said, none of the doctors thought they needed permission to perform the surgery on inmates. Martin, the Valley State Prison medical manager, said she and her staff had discovered the procedure was restricted five years earlier. Someone had complained about the sterilization of an inmate, Martin recalled. That prompted Martin to research the prison’s medical rules. Martin told CIR that she and Heinrich began to look for ways around the restrictions. Both believed the rules were unfair to women, she said. Heinrich said he offered tubal ligations only to pregnant inmates with a history of at least three C-sections. Additional pregnancies would be dangerous for these women, Heinrich said, because scar tissue inside the uterus could tear. Michelle Anderson, who gave birth in December 2006 while at Valley State, said she’d had one prior C-section. Anderson, 44, repeatedly was asked to agree to be sterilized, she said, and was nottold what risk factors led to the requests. She refused. Dr. Carolyn Sufrin, an OB-GYN at San Francisco General Hospital who teaches at UC San Francisco, said it is not common practice to offer tubal ligations to women who’ve had one C-section. She confirmed that having multiple C-sections increases the risk of complications, but even then, she said, it’s more appropriate to offer women reversible means of birth control. Lawsuits, a U.S. Supreme Court ruling and public outrage over eugenics and similar sterilization abuses in Alabama and New York spawned new requirements in the 1970s for doctors to fully inform patients. Since then, it’s been illegal to pressure anyone to be sterilized or ask for consent during labor or childbirth. That experience still haunts Jeffrey, who lives in San Francisco with her 3-year-old son, Noel. She speaks to groups seeking to improve conditions for female prisoners and has lobbied legislators in Sacramento. This story was edited by Amy Pyle. It was copy edited by Nikki Frick and Christine Lee. The independent, nonprofit Center for Investigative Reporting is the country’s largest investigative reporting team. For more, visit www.cironline.org. The reporter can be reached at cjohnson@cironline.org.